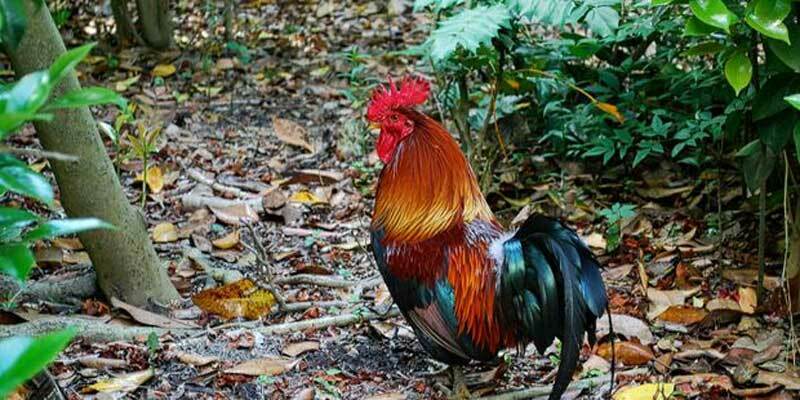 A band of rogue rambling roosters drunk on whiskey has been captured in Westport, New Zealand. Irate neighbours reported the noisy roosters who had been dumped in Westport Domain to Buller District Council's animal control officers. 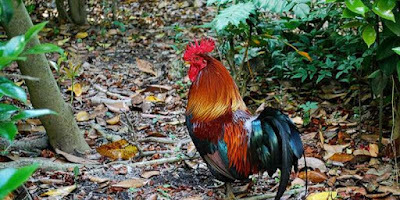 "Thirteen of these fine-feathered gorgeous looking roosters were strutting their stuff in the domain," said Buller mayor Garry Howard. "Three renegade roosters took a liking to a magnolia tree across from the domain in a residential area and our animal control staff were forced to climb the tree but it hasn't worked, the roosters are just going higher." He said their noise was disturbing neighbours early in the morning. They then set a cage at the bottom of the magnolia tree but it was stolen. "Some homeless Aucklander thought it would be good to steal that to solve the housing crisis and I'm sure it's now in Parnell somewhere," Howard said. The council staff then searched the internet for ways to catch the nuisance birds. "We asked Mr Google about how to catch roosters and he came up with the idea to give them a bit of whiskey. Our animal control officer sacrificed some of his own finest Kentucky whiskey and we have laced some barley with it and we are getting results," he said. The roosters were getting very drunk and rolling onto their sides, allowing the officers to pick them up. "Some of them are going to a heavenly home but others have been re-homed in a more rural area. We have one remaining rebel rooster getting a liking for Kentucky whiskey but I am confident we will catch him," the mayor said. He asked Westport residents to either stop getting excess roosters or find more appropriate homes for them than the domain. "People don't want to knock them on the head. They are the most beautiful birds in terms of colour and plumage," he said.